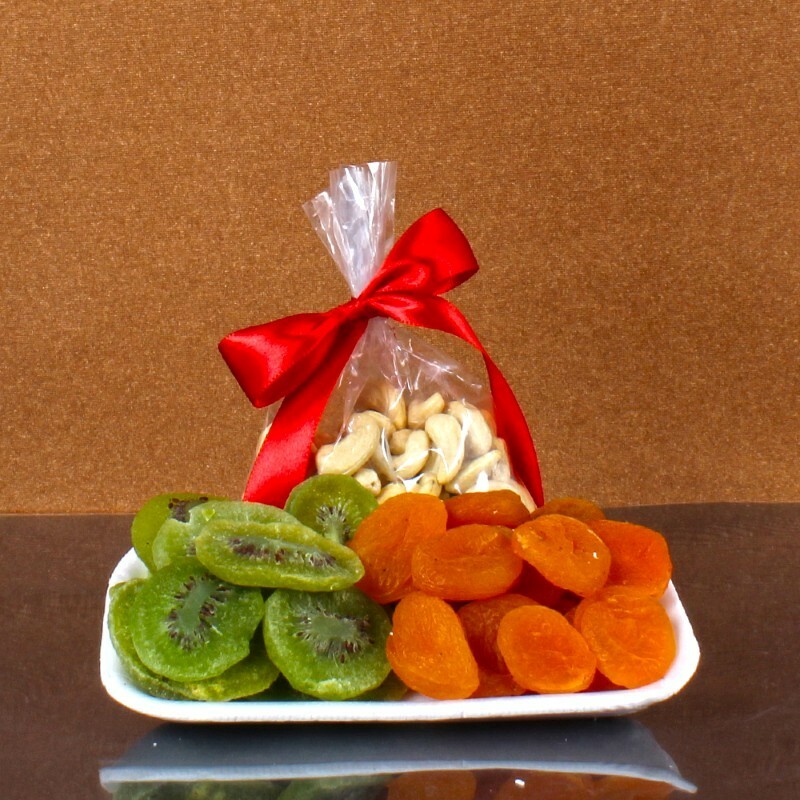 Product Consists : Pack of Dry Apricot (Weight : 100 gms), Dry Kiwi (Weight : 100 gms) and Cashew Nuts (Weight : 100 gms). 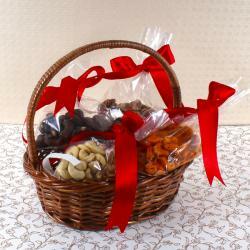 Check out this very special gift item of Giftacrossindia.com which is all set to elate the receiver. 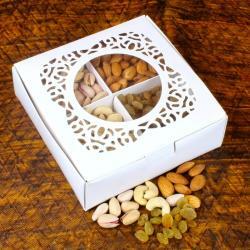 This gift item is a set of Trio Dry Fruit in a tray. All the items of this hygine. 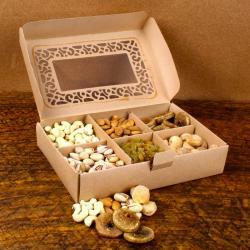 The tray of this dry Fruit like Cashew, Dry Kiwi and Dry Aprikot are luscious and mouth-watering. Its one imperial looking gift set perfect for guest serving. 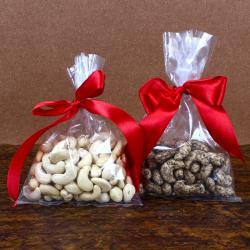 Product Includes : Pack of Dry Apricot (Weight : 100 gms), Dry Kiwi (Weight : 100 gms) and Cashew Nut (Weight : 100 gms).